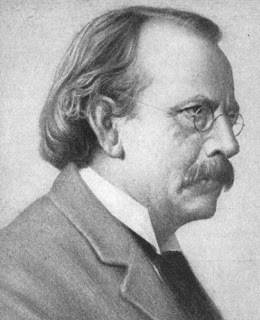 Sir Joseph John Thomson was a British physicist and Nobel laureate. He is well known for the discovery of the electron and of isotopes and also the invention of the mass spectrometer. He was awarded with Nobel Prize in Physics in 1906 for the discovery of the electron and for his work on the conduction of electricity in gases. Thomson was born on December 18, 1856 at Cheetham Hill near the industrial city of Manchester in England. His father sold rare books as a bookseller. This was their traditional family business. There was no scientific background at home, except his uncle who had a casual interest in meteorology and horticulture. Since childhood days Joseph had the habit of reading. But, life surrounded by books fueled his interest in reading. His family members encouraged him to take up engineering seeing his interest and sincere efforts at study. At the age of 14 he was admitted to Owens College, Manchester. Today this institution is famous as Victoria University of Manchester. Two Years after he joined the college his father passed away. His relatives took up the responsibility of his education. Fortunately, the John Dalton Scholarship also came his way, which further helped his education. At the age of 20, Thomson successfully completed his graduation in engineering and entered Trinity College, Combridge University on scholarship. The college was a favourite one among students interested in mathematics and science. A competitive examination called ‘Mathematics Tripos’ was conducted here. Thomson appeared for the examination and scored high grades. Like James Clerk Maxwell, he too stood second. Again, following Maxwell’s footsteps, he moved from mathematics to theoretical physics. Though he was not very good at performing experiments, he never underestimated the importance of it. In 1881, at the age of 24, he wrote a research paper, which gives us some idea about Einstein’s theories. In the paper he explained that energy and matter maintain a balance in nature. After obtaining his degree, he also received the fellowship at Trinity. He started research work at the renowned Cavendish Laboratory. 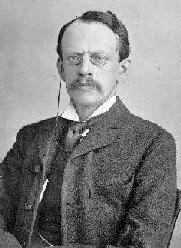 In 1884, the head of the Cavendish Laboratory, Lord Rayleigh decided to relinquish his post and named the 28 year old J J Thomson as his successor. This created uproar. Though there was no doubt about his caliber, his young age caused the abashment. But Thomson lived up to the expectations and successfully managed the affairs of the institution for the next 34 years. He led the institution to become one of the best research institutions in the world. It was a happy coincidence that at the institution where he conducted research, he met his better half. Thomson believed that women could not be good researchers. So, when Rose Paget, a student, approached him with some questions, he thought that she could not follow anything. They married in 1890 and two years later, Rose gave birth to their first child, who later became the famous scientist George Paget Thomson (G P Thomson). 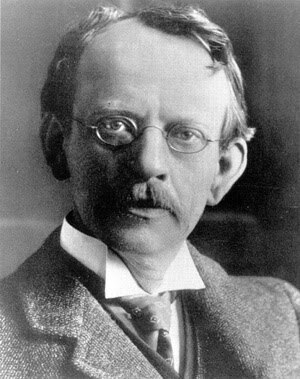 In the presence of 80 year old J J Thomson, his son was conferred the Nobel Prize for physics in 1937. G.P. Thomson was awarded the prize for his research on the demonstration of wave nature of electrons. 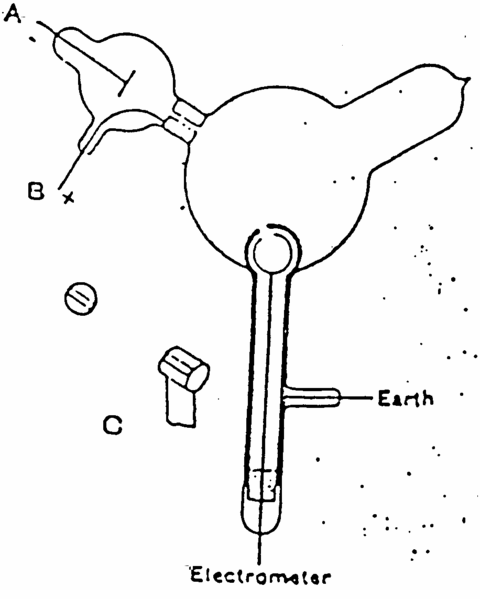 In 1887, Thomson discovered a very minute particle-electron, and came to be known as the ‘Father of Electron’. With this discovery he proved electrical characteristic property of matter. It was a time when extensive study of cathode rays was on. He stated that cathode rays consisted of electrically charged particles. Some scientists believed that cathode rays and electrically charged particles were totally different entities. But it was equally true that when the cathode rays collided with glass, they produced glow. An electrically charged particle or electron cannot be seen with naked eyes. 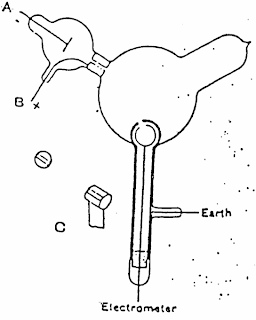 Thomson also proved the fact that cathode rays deflected in presence of magnetic field, thus proving that cathode rays contained negatively charged particles. His critics argued that mere deflection of cathode rays in presence of magnetic field did not prove that the electrons were negatively charged. Thomson created better vacuum in the cathode ray tube to prove that the cathode rays deflected only due to magnetic and electric fields. He insisted that cathode rays were not just rays but the steam of electrons. Thomson calculated the velocity of rays by balancing the opposing deflections caused by magnetic and electric fields. Knowing this velocity and using a deflection from one of the fields, he was able to determine the ratio of electric charge (e) to mass (m) if the cathode rays. He also measured the weight of an electron and proved that it was 2000 times lighter in weight that hydrogen atom. He also determined that the velocity of an electron to be 1, 60,000 miles per second. 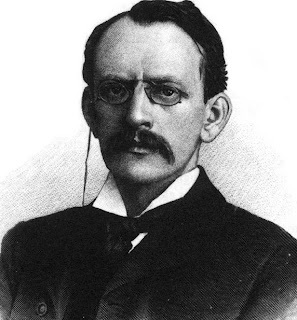 J J Thomson’s basic research, led to the invention and usage of Television in our day-to-day life. TV is a cathode ray tube where electrons get deflected due to the effect of electric and magnetic fields. Thomson did the same, but none believed him way back in 1897. He even thought of photographing electron. He assigned the task to his student CTR Wilson, who in 1911, devised a method to observe tracks of charged particles by constructing what is now known as Wilson cloud chamber. For his wonderful invention, CTR Wilson was awarded the Nobel Prize for Physics in 1927. All such research established the existence of an electron and gave birth to a new science called electronics. With the end of World War I, Thomson gave up the directorship of Cavendish Laboratory to be the chairman of Trinity College. One of his colleague and a friend, Lord Eanest Rutherford, was handed over the charge of Cavendish Laboratory. Thomson was honoured with the Nobel Prize for Physics in 1906 for his research in electrical conductivity of gases. The British Government knighted him. Truly, he was a talented teacher, a researcher of the highest order, one who provided excellent leadership to young scientists. 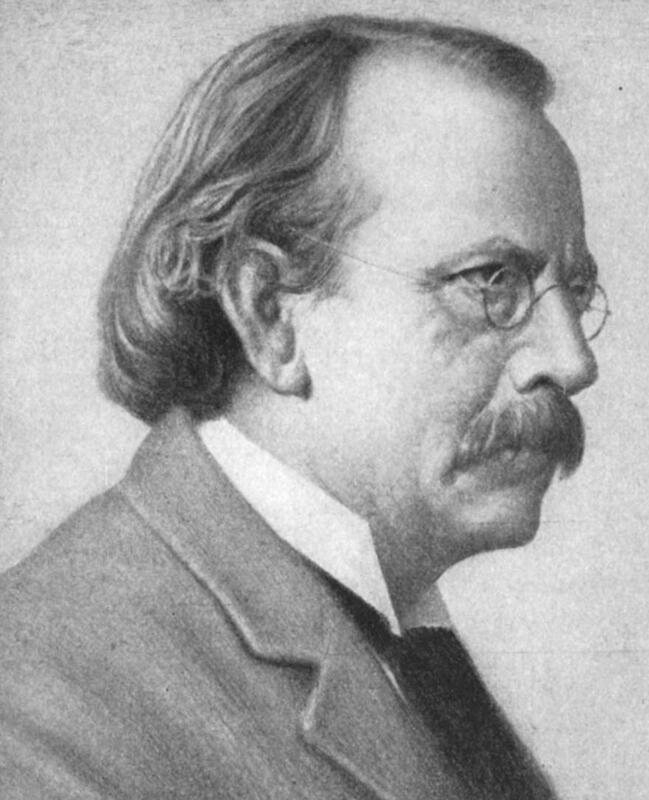 Eight of his students were recipients of the Nobel Prize. 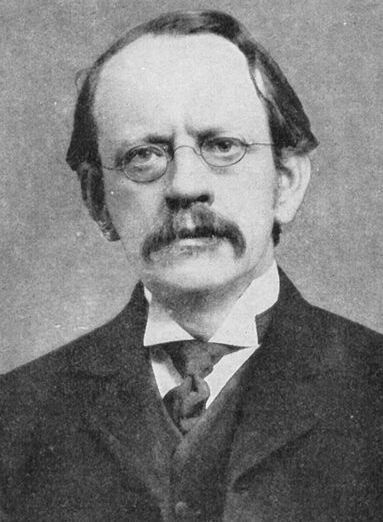 Sir J J Thomson was known as the ‘Man who split atom’. He also wrote several high quality books for students. Sir J J Thomson, the great scientist, died at the ripe old age of 84 in1940.